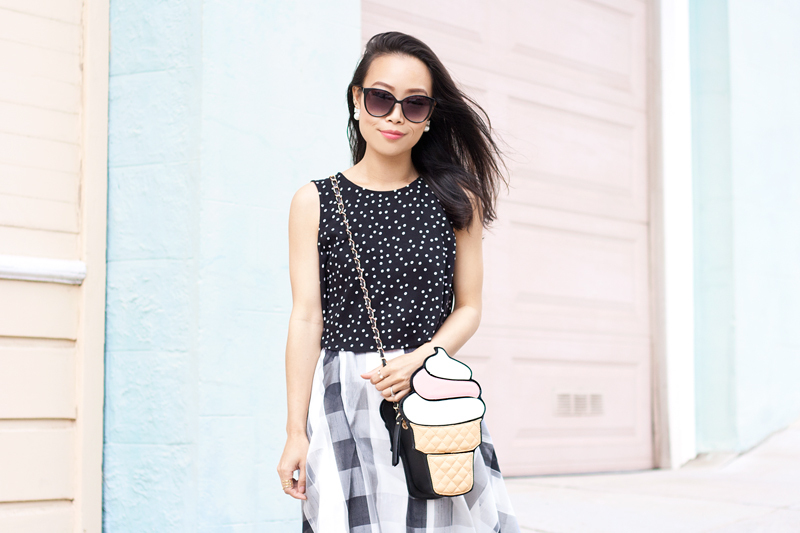 I think about an awful lot of ice cream during the summertime. Wait, scratch that, actually I am always thinking about ice cream. Don't you? This ice cream bag... where do I even begin? I have been eyeing it for a long time but it was also out of stock for a long time, I finally got my hands on it and I am ecstatic! It is the cream of the crop, perhaps I should say (ice) cream of the crop! 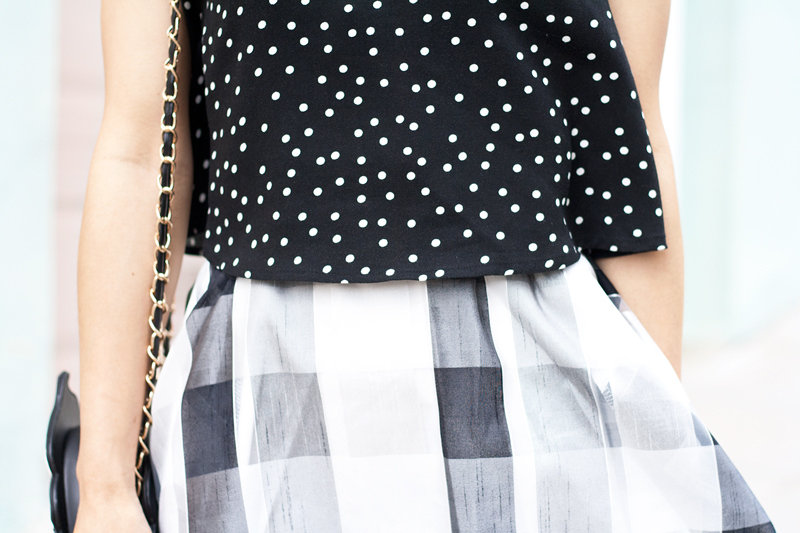 Anyways, I styled it with a cute dotted top, a gorgeous tartan organza midi skirt, and a pair of laced up flats. We took these photos after an event in North Beach in San Francisco, thought the cute pastel houses make a perfect backdrop! Now excuse me while I go get a scoop of ice cream! Happy holiday weekend, everyone! 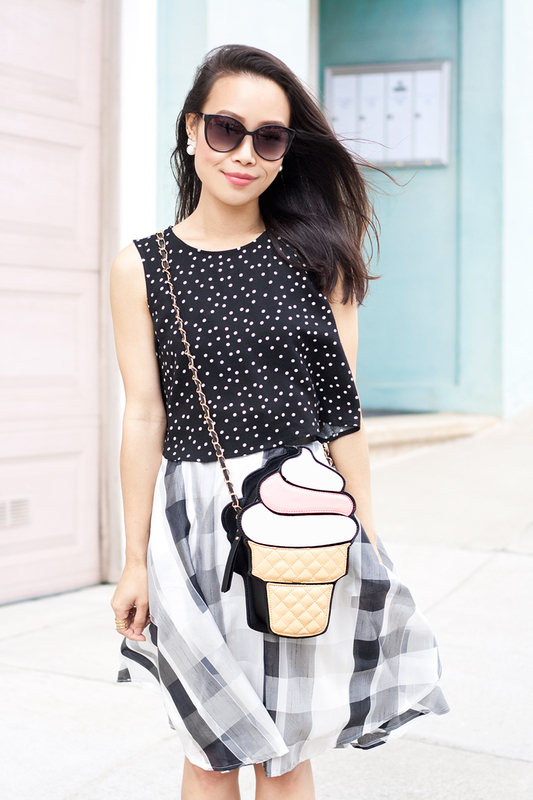 Dotted crop top c/o F21. 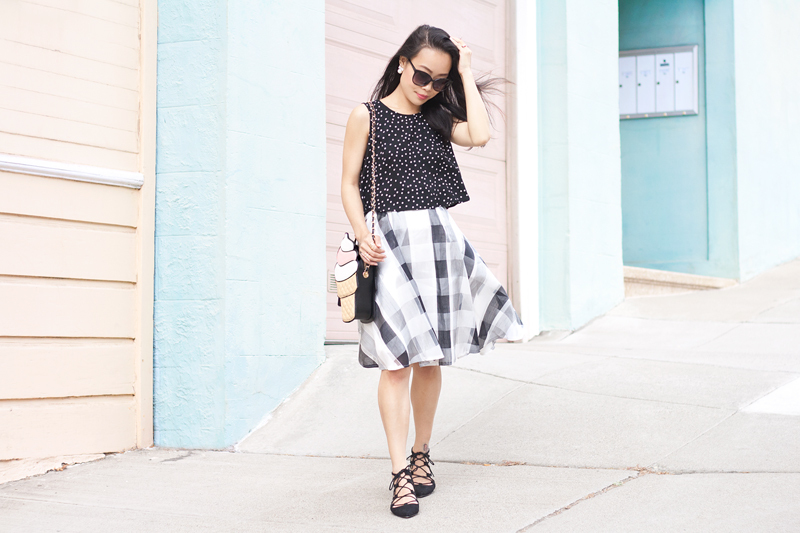 Tartan organza skirt c/o Chicwish. 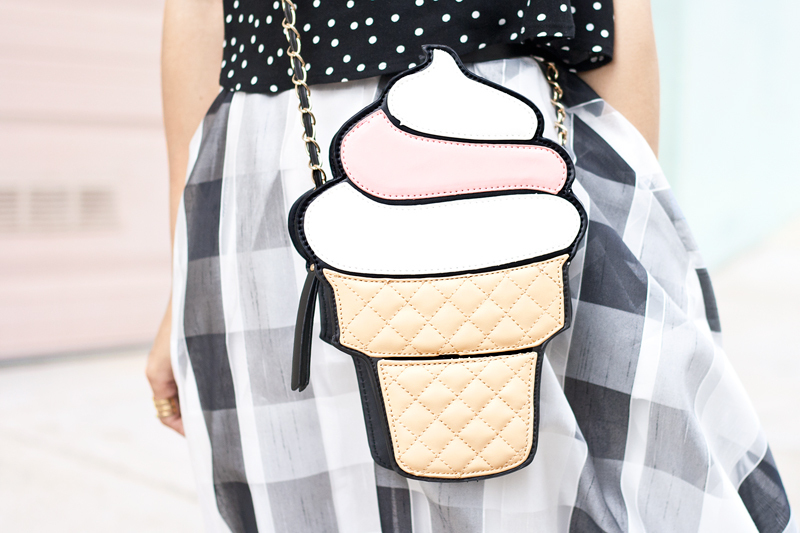 Ice cream bag c/o Nila Anthony. Absolutely in LOVE with this outfit! I will definitely come back to see more!